Angi Bemiss, Kathryn Cater and Frank Voltz have new music and we now have it in stock! This e-blast will detail their music , and another will follow in about 2 weeks with lots more new music that is arriving. Don’t forget our regular 10% multiple copy discount on print music. Besides a savings for teachers, ensembles can have one person order for the group, get the discount and save even more with a single shipping charge! The discount is built in, so whenever you order 2 of the same title, you automatically receive a discount on those items. Quoting Bemiss (with a few edits), The Music of Friends #2; 25 contemplative selections from Brook Boddie, Aileen Kelley, Cindy Kleinstuber Blevins, Beth Kollé, Judy Phillips, Robin Phillips, Susan Raimond, Kim Robertson, Verlene Schermer, Sunita Staneslow, Wendy Stewart, Sharon Thormahlen, Louise Trotter, Frank Voltz, Margaret Warczak, Karl & Marilyn Wienand, and Sylvia Woods. Over the years, folks have told us that Music of Friends Book #1 is their “go-to book” and have asked me to compile a second book. Here are YouTube links for the two favorite compositions that finally convinced me that there needed to be a second book: “Upon the Willows” by Brook Boddie.
. The following are new singles from Angi Bemiss. Gabriel’s Oboe – Rhett Barnwell and Angi played this as a duet (Rhett on cello) in the Liturgical Harp Forum concert at Somerset. It is a lovely composition that you may recognize. 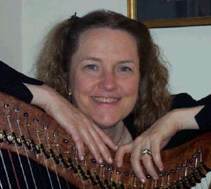 Wonderful Tonight by Eric Clapton – A harpist-CMP-friend was visiting and we were talking about my mother’s Alzheimer’s and the “magic” that happens when folks recognize a song and start singing along – what a privilege to bring tangible joy into their lives (and for the dear staff that provides such loving care)! We then started talking about the fact that some of these folks are younger than us – very sobering. Janie said, “Angi, you need to arrange music for us to play for our generation, too.” She mentioned “Wonderful Tonight,” so I downloaded the music and found that it’s beautiful on the harp! This video is vintage Clapton and brings back fond memories, exactly as I will always envision it being sung and played by him. A friend (named Carol Ann) asked if I’d ever heard this one, so I thought it would be nice to arrange it for her – ended up really liking it. The recording is by MWS, and I play it slower on the harp. 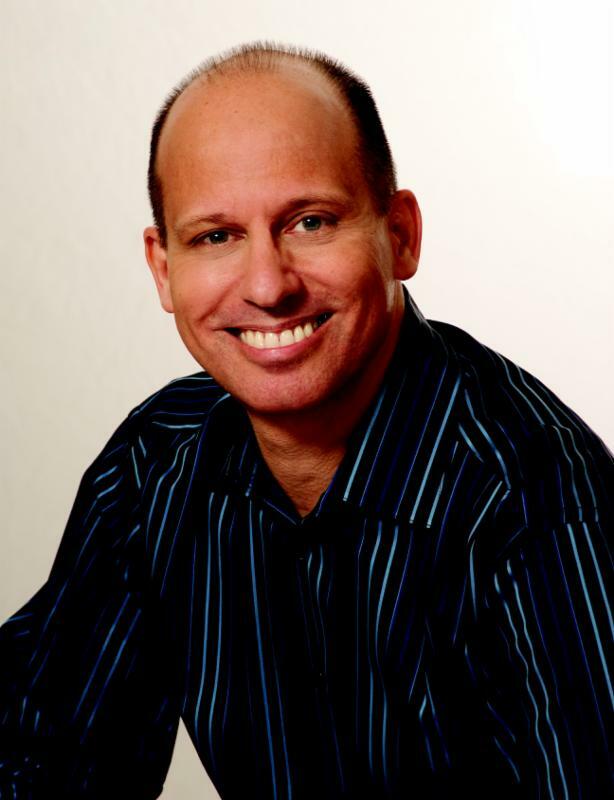 The one and only Frank Voltz has 2 new titles! His Name is Love – intermediate for all harps with only 2 lever changes. The Painting – a melodic piece, intermediate, with just a few lever changes. Many of our customers eagerly await anything new by Mr. Voltz. He has a charming style! More than a few of our customers own everything Mr. Voltz has ever arranged or composed – he has a huge fan club! Kathryn Cater was asked by one of our customers to pen her duo arrangement of Silent Night. Gretchen, our customer, says this is drop dead gorgeous. I agree. 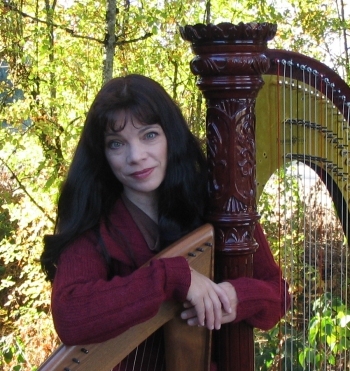 Kathryn is an exquisite harpist, and her compositions and arrangements have the utmost integrity. We have more new titles, but did not want to overwhelm. All new titles are under “What’s New”. Keep Cool and take care of yourselves. Enjoy your preparations for fall activities and schedules. Thanks for letting us be a part of your lives! This entry was posted in General Announcements, Music Reviews, News from the Arrangers and tagged Articles. Bookmark the permalink.